← UFO’s Here I Come! 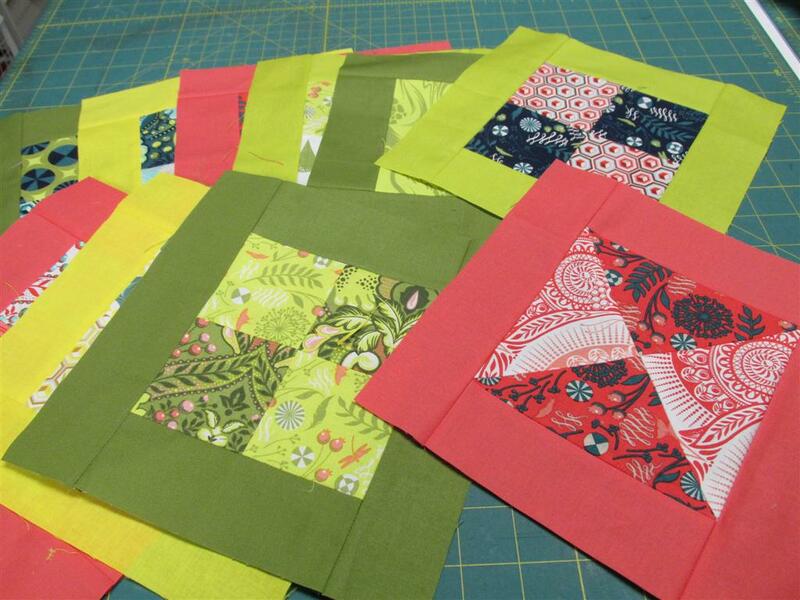 The sewing weekend retreat was such a success – so much accomplished! Unfortunately I came home to a dead computer. It still lies in state, so I now have to use our laptop. I don’t have everything set up on it, so I must jump through a few more hoops – I’d rather be sewing! 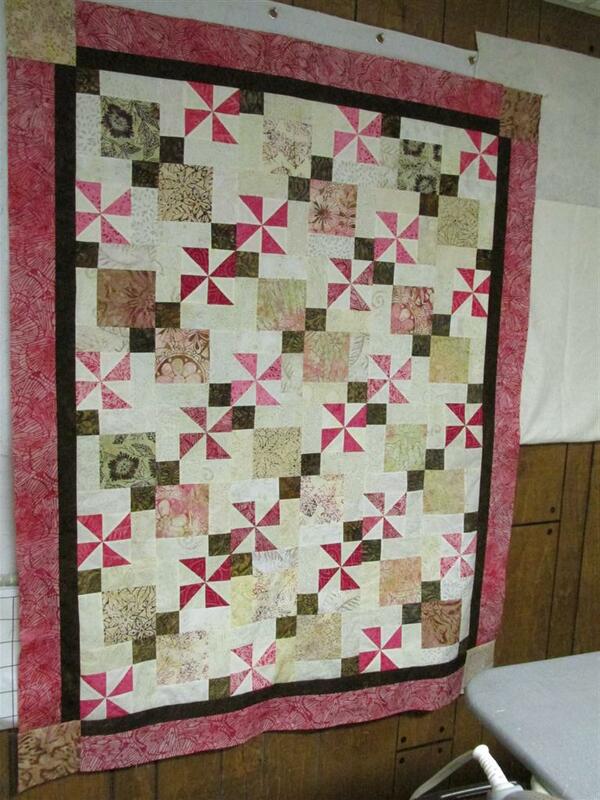 Weekend accomplishments: I finished the pink pinwheel top and added the borders when I got home. I’ll get the backing and batting ready this weekend. 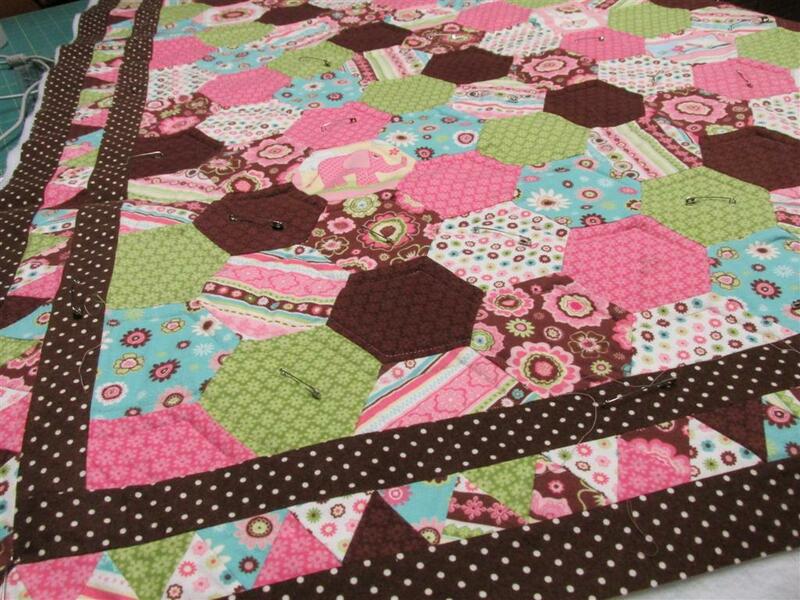 I finished piecing this flannel hexagon baby quilt. I am in the process of machine quilting it at home. 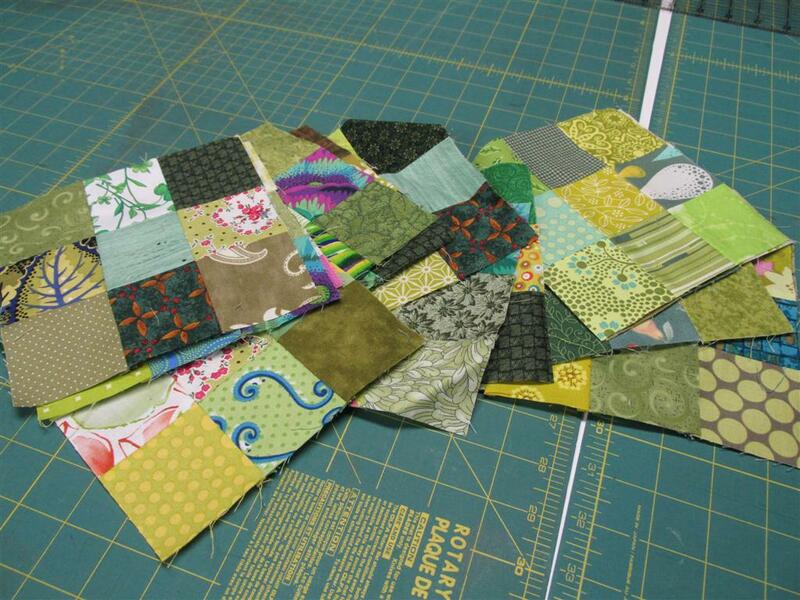 This stack of leader, ender scrap 9 patch blocks got pieced and pressed at the retreat. The centers of this stack of 40 blocks were already done – I added the borders at the retreat. They just need to be pressed, squared, and put on the design board for a layout. I will probably need to make a few more. I also did some sewing on my Christmas quilt, but not enough to show any progress. Maybe by the new year I’ll finally have an empty project bin. Of course, I’ll have it filled in no time! Posted in Fabric, Quilting, Quilting Retreat, Scraps, Stash and tagged Color, Flannel Quilt, Flannels, projects, Quilting, Retreats, Scraps, Sewing, stash, UFOs. Bookmark the permalink. Love it all, wish I could get motivated!